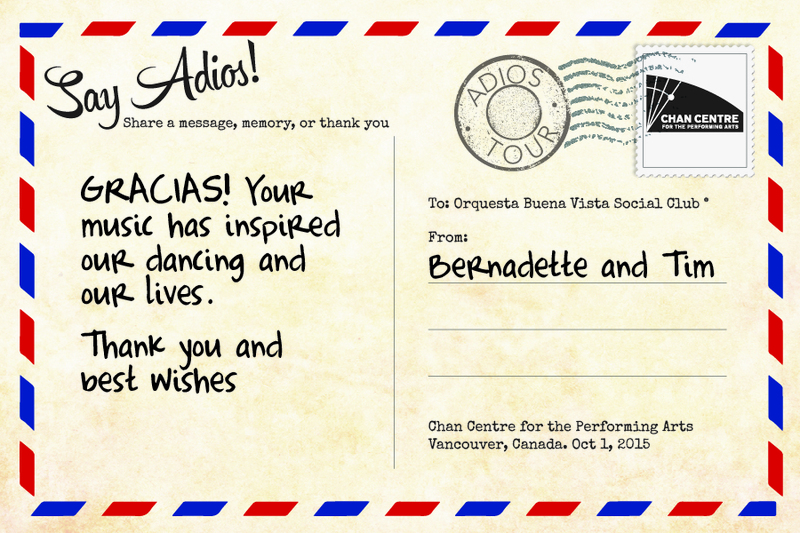 Orquesta Buena Vista Social Club performed a farewell concert at the Chan Centre in October 2015 as part of their worldwide Adios Tour. Knowing this was a very meaningful appearance for our audience, we asked guests to submit their memories during the performance. Dozens of postcards were filled out and shared with the group following the show as a token of our collective thanks. Gracias por la musica, Buena Vista Social Club!